Invited architectural design competition with eleven participants. 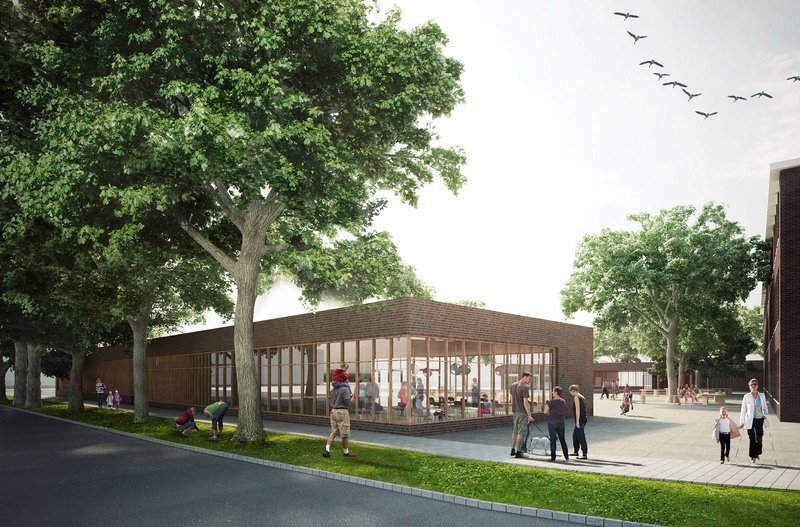 The existing Hans Christian Andersen School is to be extended with full-day areas and classrooms. 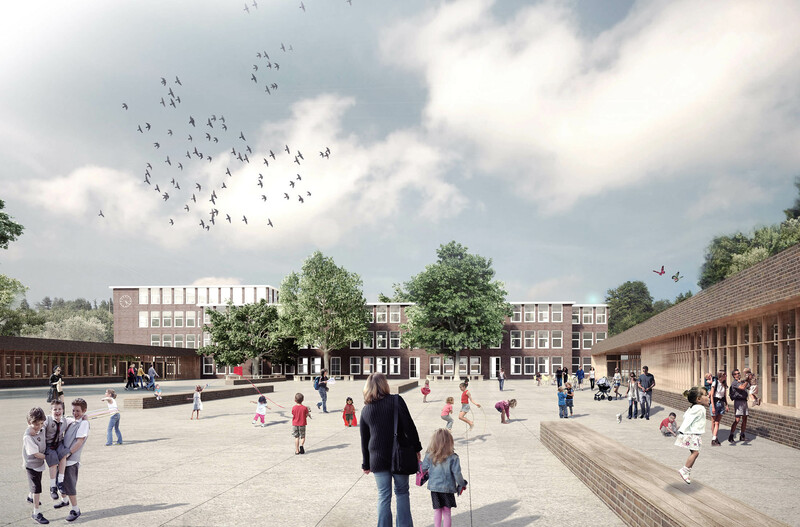 The fundamental idea, in terms of urban planning, is to interpret the original surrounding perimeter block development in a school context and in doing so to integrate the seemingly disconnected opposite existing building in a clear ensemble. 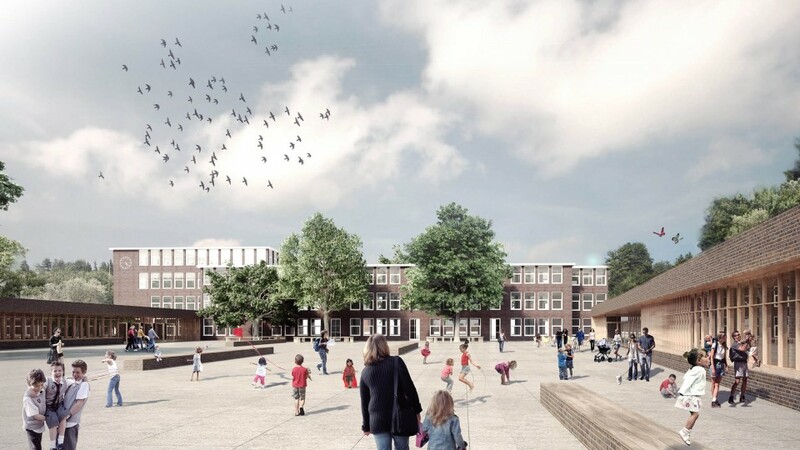 This results in a space for the schoolyard which functions as a neighbourhood meeting point. The new buildings provide visibility from outside while simultaneously drawing attention to the existing building. One of the structures connects to the covered pathway of the existing four-storey building to the north and contains an all-day area, foyer and classrooms. Another adjoins the existing building on the east. 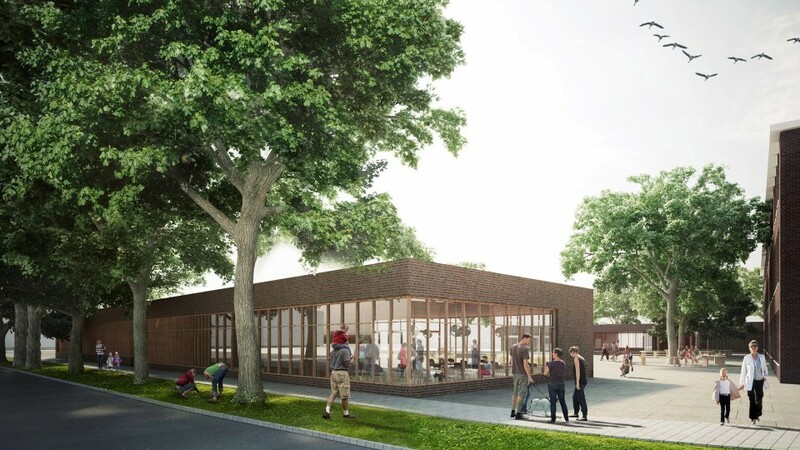 By pushing this structure away from the lines of the existing building it gains a stronger presence, integrating the local café not only into the yard, but into the local area. At the same time the block mitigates street noise and provides protection for the courtyard. The architectural language of the new buildings alludes to the existing buildings from the 1950s and interprets these in a contemporary manner.